If so, I want a picture of... One member of the team hugging another member of the team! Yey! Thanks for playing the game!! 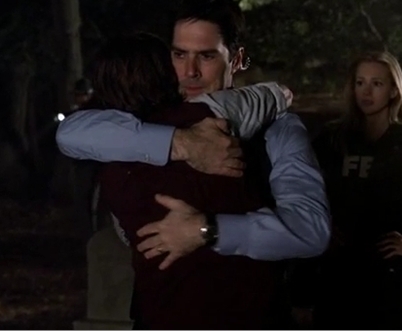 Heres a pic of Garcia and Morgan hugging!! Oh sorry, I didn't realise you'd reposted! Of course I'll play, it's an amazing idea!! I love that picture!! OK, does this count? 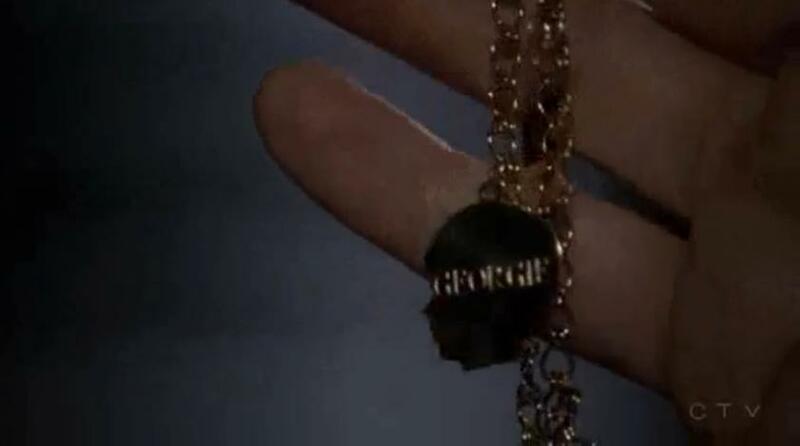 If so, I would like a picture of Garcia and Kevin kissing! So its not the best picture but its the only one I could find!! 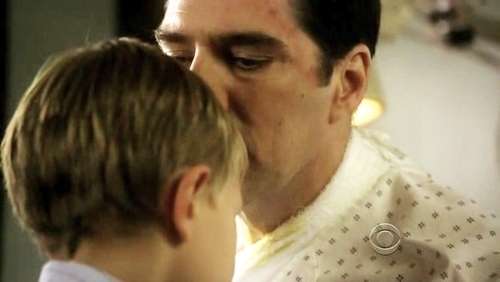 Next: A picture of Hotch and Jack! It's great!! Awww... They're meant to be!! They're gonna break up now aren't they? Heres a pic of Haley and Hotch kissing! Here it is!! Finally!! OK, I hope this counts as it's a screen shot I took of the episode. So here's hoping! Erm, I would like..... Rossi with his charm bracelet please! Hmm... Emily in a skirt. Here you go! Hope this is OK! 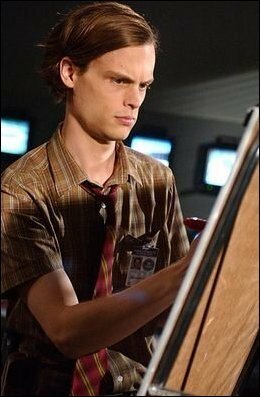 I would like a picture of Reid reading a map! How about one with Hotch without a tie! Yes finally I found one!! I was beginning to think it was impossible!! Ok, how about...Morgan wiping a tear from his eye? I dunno! I guess it's up to the rest of you girls because i can't find one! I can't find one either! I have googled and googled!! Could you maybe change it to something easier magsf99!! Ok, I'm really sorry about that, I genuinely thought it would be easier to find!! I'll pick an easy one...How about Reid with his hands up? 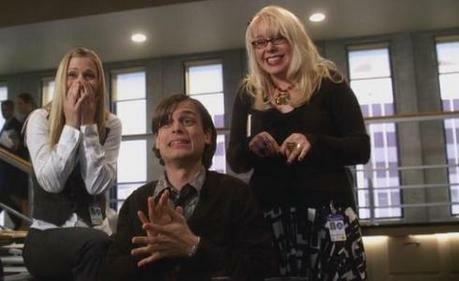 Can I have a picture of Reid being comforted by one of the team? I thought it looked they were kinda having a heart to heart. I'd like a smiling unsub! 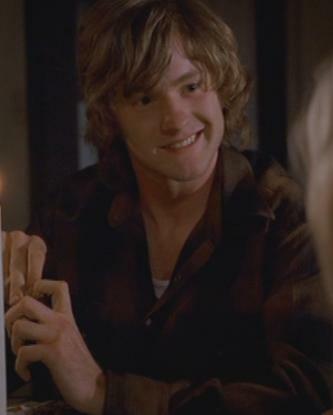 Heres a picture of the unsub, Owen from "Elephants Memory" smiling!! 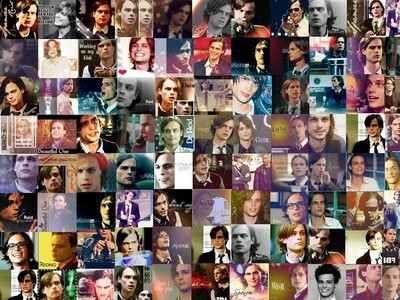 Next picture: I would like a pic of Reid and his mom! Heres a pic of Garcia writing down something on her colourful post-it notes! Hope this pic is okay! Its the only one I could really find! 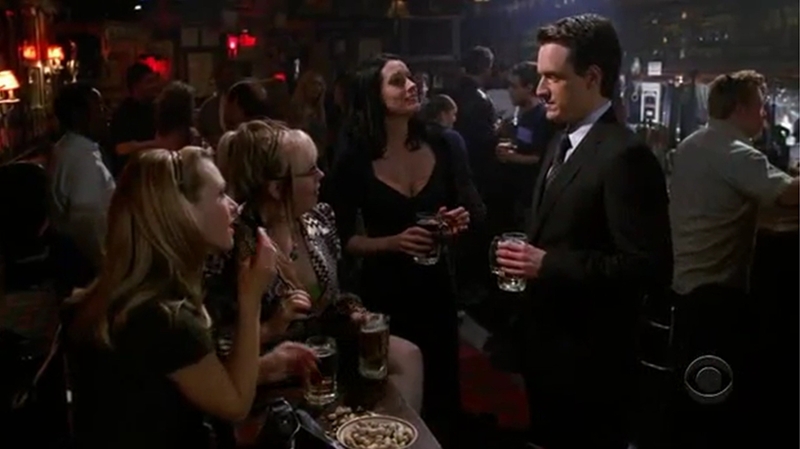 For the next picture I would like the girls hanging out at a bar! I loved this scene! I just had to get one with Brad in! I would like an image of an unsub with a gun please! Is this good enough, Sophie? Okay, I want a picture of Garcia with someone who is not Morgan or JJ. Here you go goose29! And welcome to the game! Next: I would like a pic of Reid with a gun! Here we go...Reid and Morgan strutting their stuff!! Tell me if it doesn't and I'll try and find another one!! Hmmmm....where is Reid and the chop sticks when you need him. Found 'em, but not happening at the same time. Your call! 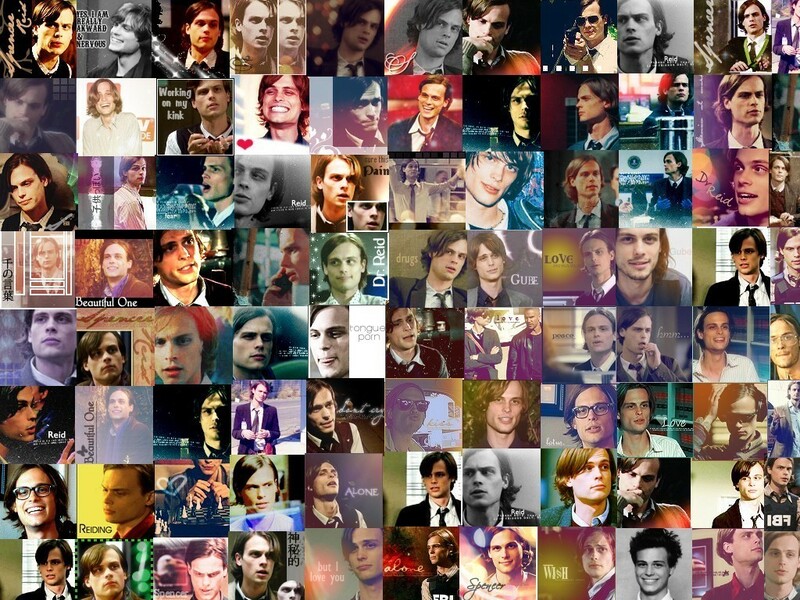 Ohhhhh my goodness.....are you taking something for that serious Reid addiction you have going on there girl?? *lol* Yes - that counts - I think you have chronicalled his entire CM growth here. The only Dr.SR pic in this series that I think you are missing is the one where he is portrayed as a 9 year old! Choose your picture request magsf99! Did I mention good work? Ha ha, glad you liked it!! Ok...how about reid with his mum? Hmmm... How about Morgan kicking down a door? DANG - how hard would you think a pic of Derek and a door would be????? Really had to work for this one - foot on door - Derek through the door - enjoy! 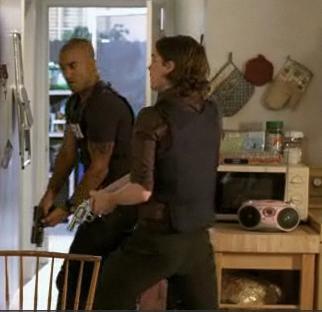 And as an equally challenging task - a pic of Derek Morgan's lion tattoo please! JessieWolf - it does indeed count! Pick your question to continue the picture 'hunt'. 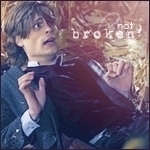 And criminalminds 15 - that is what I thought too - UNTIL I went looking. Hard to catch the boy in the "act" ! It was a good pic hunt! I want one of JJ with a gun. 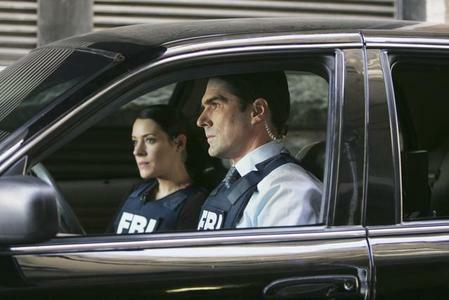 Neat I would like a pic of Hotch in a car!! 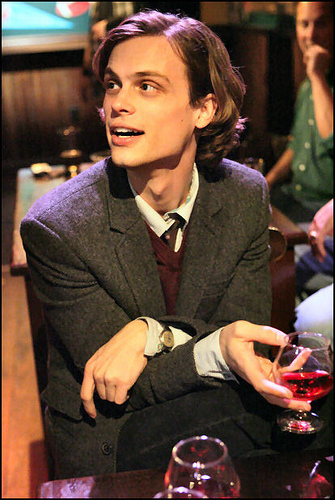 I would like one of Reid being 'adorkable' ie.doing something geeky but being so CUTE in the process...! 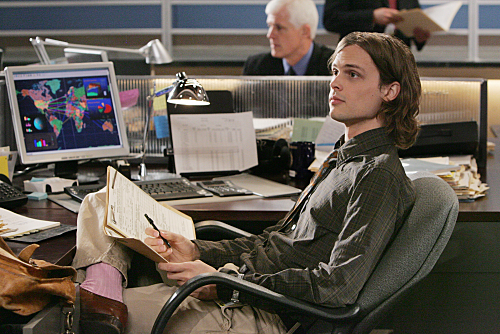 Okay, I'm putting in a few of Reid working and I hope one of these count. Because I was trying to find one for this and couldn't - I want a picture of Reid playing chess (you have to be able to see him and that he is playing chess). 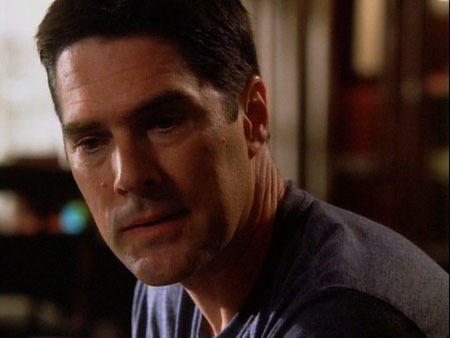 I would like one of just Jack Hotchner. Gottcha a twofer here....baby Jack and recent Jack! HaHa! And now for a REAL toughie.... a pic of Reid's car (seen only in one episode of the five seasons) Good luck!